Reverse auction site Auto eBid has Audi Q5, Audi Q7 and Skoda Octavia estate models in stock with significant reductions off their list prices. The Audi Q5 and Q7 models currently have a long order time, but Auto eBid has the following in stock with no waiting list. 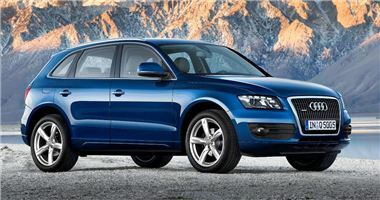 You can also order Q7 and Q5 models to your exact specifications at the Auto eBid website. The Skoda Octavia is well thought of by its owners, thanks to its spacious cabin, decent loadspace and low cost.